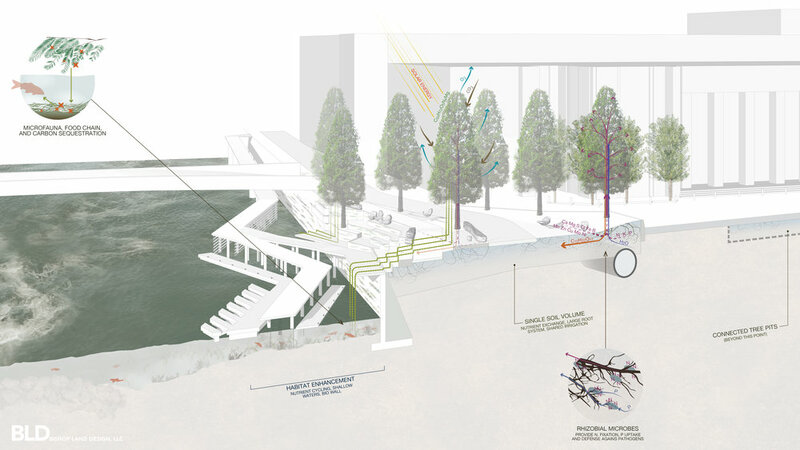 This project seeks to (re)establish human and ecological connections with the Grand River. 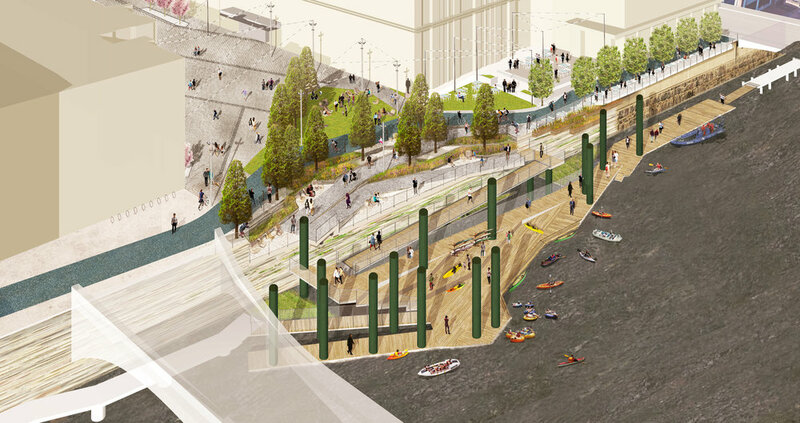 The proposed design accommodates a wide range of activities, including pole fishing, a kayak and canoe launch, programmed events, temporary dining on the Gillett Bridge and the implementation of seating unique to downtown Grand Rapids through its representation of the river's geologic history. The new edge condition will enhance the waterfronts ecological capacity through habitat creation, its ability to mitigate flooding hazards through the incorporation of a planted flood berm, and increase accessibility to the lower walkway. 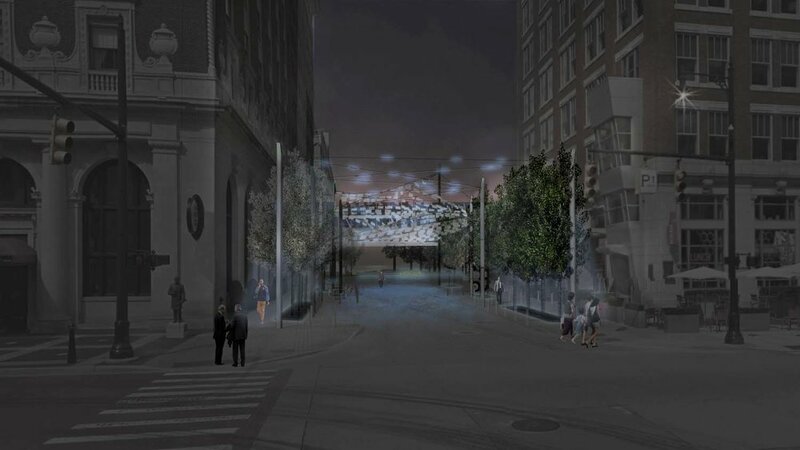 The design will also provide a continuous multi-use trail connection to the existing trail network while also creating a connection with the North. Lyons Edge represents a private-public development opportunity that serves both the interests of public use and private program implementation.